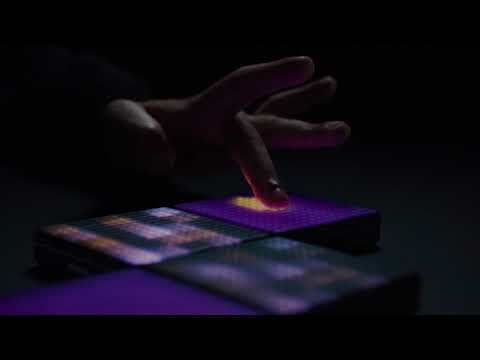 Roli Lightpad Block M represents the second generation of the most innovative mobile music making tool! Block M adds an enhanced tactil..
Roli Lightpad Block M represents the second generation of the most innovative mobile music making tool! Block M adds an enhanced tactile surface for additional expression and control. With hundreds of customizable sounds at your fingertips and a touch-sensitive control surface, ROLI's Lightpad Block M allows you to create music on a mobile device via the intuitive NOISE app. Dimpled with 225 micro-keywaves, the new Lightpad Block enhances the extraordinary tactile feedback of the original for an altogether more responsive playing experience. Designed to control any sound from drums to cinematic atmospheres, Roli Lightpad M comes with an expanded suite of software including Equator Player and the Tracktion Waveform and Ableton Live Lite digital audio workstations. Roli Lightpad Block M works well as an additon to your current music production setup at home, but is the ultimate for products that want to create ideas on the move. Small enough to fit in your pocket or slip into a laptop case - Lightpad Block is a truly wireless solution for music creators. The Roli BLOCKS system is the instrument that grows with you. Each individual Block is incredibly powerful, putting musical expression right at your fingertips. Connect Blocks together and build as you go, creating the music-making system that works for you. Centered on the expressive musical surfaces of Lightpad Block and Seaboard Block, BLOCKS instruments can be configured and reconfigured with any number of other Blocks including Touch Block, Loop Block, and Live Block. Music-makers from beginners to pros can explore hundreds of sounds and customization possibilities through the suite of music software that comes with each Block.